Ever-loquacious VDV Commander, General-Lieutenant Vladimir Shamanov held a wide-ranging press conference on Wednesday. The Defense Ministry web site covered it here. ITAR-TASS also published a number of short items on it. Shamanov detailed the work of five immediate deployment VDV battalions, lobbied again for a helicopter regiment, and discussed training issues and his procurement desires. He joined the dogpile on top of the Russian OPK although he once seemed to defend it, and he credited Putin alone for the initiative to modernize the military’s arms and equipment. He described his forces as combat ready, and manned and equipped at 100 percent. 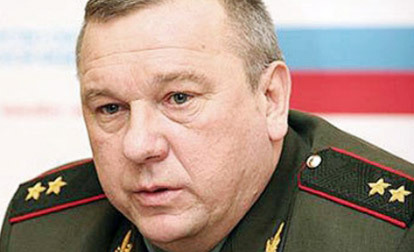 Shamanov discussed VDV training at great length. He started, of course, by speaking about jump training. The parachute jump training plan was 70 percent fulfilled during the winter training period. He blamed poor weather, saying troops often jumped in minus 30 degrees Celsius—the lowest acceptable temperature. The plan for jumps from An-2 aircraft was fulfilled, but only 70 percent fulfilled from Il-76 aircraft. He noted the VDV conducted its first-ever drop of a BMD-2 with its crew on-board, and said this hasn’t been done in 7 years, and then it was a BMD-1. 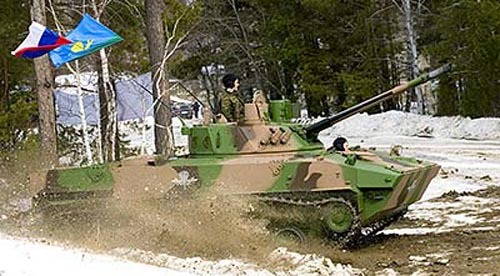 Use of the BMD-2 was significant, he said, because the BMD-2 represents 80 percent of VDV’s combat vehicle inventory. Shamanov noted more attention to air defense training in the VDV this winter. There were 40 firings of manportable ‘Strela-10’ and ‘Igla’ SAMs. For the summer training period, Shamanov noted the VDV has 9,300 conscripts to get through three jumps in the course of 1.5 months. The VDV will participate in ‘Vostok-2010’ and the CSTO’s ‘Cooperation-2010.’ There will be a VDV-level CSX (КШУ), as well as a CSX involving the 98th VDD (or ВДД). “In the winter training period we transported the 108th Regiment on large assault ships three times. The exercises ended with a naval assault landing by a reinforced assault-landing battalion (ДШБ). 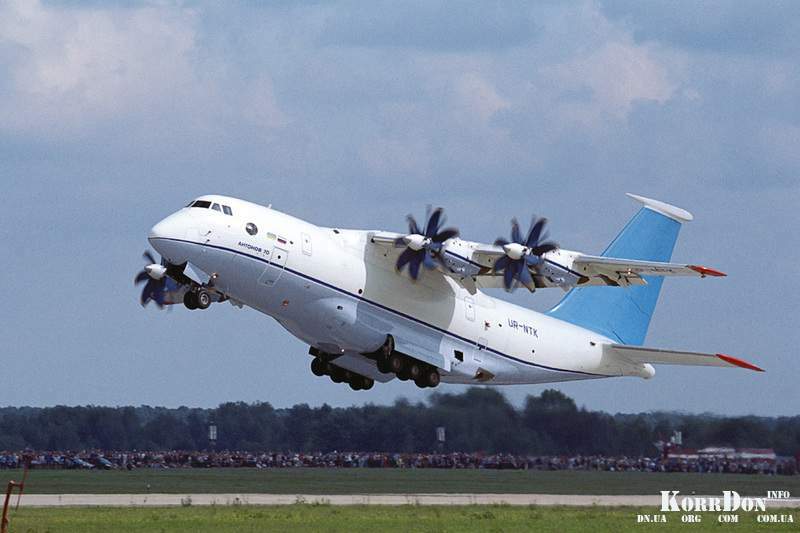 Gzt.ru and Lenta.ru covered the An-70 and An-124 story in detail. At the same time, Shamanov concluded that GAZ and Izhevsk vehicles perform better for the VDV in the snow that equivalent Italian and Canadian ones. Shamanov also said it’s essential to decide what to buy without any kind of lobbying, and for his part, he bases his decisions on saving soldiers’ lives and fulfilling missions.